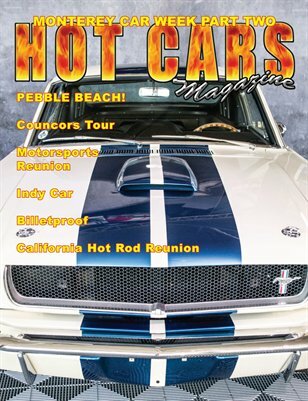 Special Pebble Beach Issue! We take you to the tour on Thursday along Pacific Coast Highway, and onto the 18th green on Sunday. Plus we have the racing action from Laguna Seca on Saturday! Also in this expanded issue: California Hot Rod Reunion, "Billetproof" car show, and TWO Indy Car Champions are crowned in Northern California!